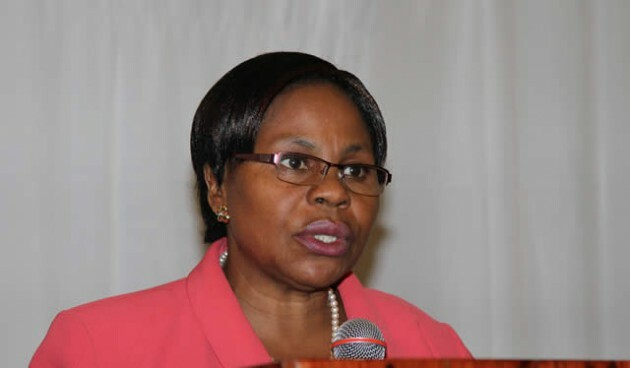 The Zanu-PF Women’s League yesterday passed a vote of no confidence in its secretary for Administration Cde Esphinah Nhari and spokesperson Cde Monica Mutsvangwa, and recommended their expulsion from the party for pushing factional politics. The decision was reached at the wing’s meeting at the revolutionary party’s headquarters in Harare which came up with recommendations to be presented at the ongoing Zanu-PF 15th Annual National People’s Conference in Victoria Falls. Women’s League deputy secretary Cde Eunice Sandi Moyo last night confirmed the development. She said Cde Nhari was found guilty of chanting a factional slogan “Pasi neG40” at First Lady Amai Grace Mugabe’s rally in Gutu last Friday. For Cde Mutsvangwa, Manicaland Province recommended that she be expelled for indiscipline and disrespecting party procedure. Cde Sandi Moyo said the meeting came up with several resolutions for the conference, which included endorsing President Mugabe for Life President. “The second one is that we will continue to support Amai Mugabe for the good work she is doing and her leadership in the Women’s League,” she said. “The third one is the reinstatement of the women quota in the Presidium in the party’s constitution.” Cde Sandi Moyo said the women recommended that they be given 50-50 representation in Government at all levels and that the party constitution be aligned with the national constitution. She said another recommendation was for a law against child marriages to protect girls. Cde Sandi Moyo said they wanted the party to deal with “all unruly elements that engage in divisive agendas”. Meanwhile, the 15th Zanu-PF National People’s Conference enters the third day today with a Central Committee meeting slated at the party’s headquarters in Harare. Among other things, the Central Committee, which is the party’s highest decision making organ outside congress, will receive a report on various issues discussed by the Politburo which met on Monday. Further, the Central Committee is also likely to discuss the future of party members who are serving in acting capacities as provincial chairs and youth chairpersons. Indications are that those who are acting are likely to be confirmed substantive in their current positions until 2018. Zanu-PF secretary for information and publicity Cde Simon Khaya Moyo confirmed the Central Committee meeting. He said although he had not yet seen the agenda of the meeting which is usually crafted by the secretary for administration (Cde Ignatius Chombo) any issue could be up for discussion. “The Central Committee is meeting tomorrow (today) in Harare to receive a report from the Politburo on preparations for the conference,” he said. Delegates to the conference are expected to arrive in Victoria Falls tomorrow. Cde Khaya Moyo said President Mugabe who is the party’s First Secretary will officially open the conference on Friday setting the tone for various discussions. After the official opening, the conference would break into sub-committees to discuss various issues. Some of the issues that would come under intense discussion include the state of the party and the economy. On state of the economy, discussions would focus mainly on ZimAsset with particular attention on progress made so far in terms of implementation. “Delegates will leave on Thursday for Victoria Falls and buses have already been dispatched to various provinces and we don’t expect any difficulties,” said Cde Khaya Moyo. “After the official opening on Friday there will be other discussions by sub-committees and the President will close the conference on Saturday evening,” he said.